Germaniae Aliorumque Quorundam Loco-rum Europae Poliometria - Lotter, T.C. 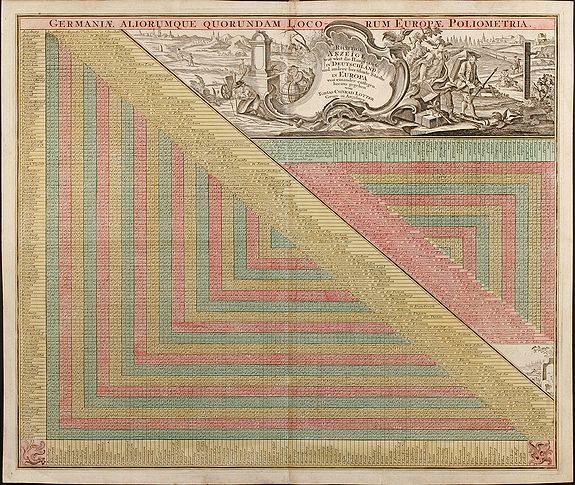 Title : Germaniae Aliorumque Quorundam Loco-rum Europae Poliometria. Size : 18.5 x 22.0 inches. / 47.0 x 55.8 cm. Description :Distance table from L.C. Lotter, with nice cartouche and explanation of usage. Condition : Good strong engraving on heavy paper. Two small tears repaired on back, minor creases.